Teens that require orthodontic treatment often dread having to wear metal braces. Fortunately, discreet treatment is available. Invisalign® orthodontics treatment makes it possible for teens to enjoy the confidence of beautifully straight teeth without the need for metal braces. At the Harlem Center for Aesthetic Dentistry, we enhance smiles and improve oral health with Invisalign® for teens. Contact our New York, NY practice to find out if Invisalign® is right for you. Invisalign® is an aesthetically pleasing alternative to traditional orthodontics, making them a popular choice for teens. Invisalign® eliminates the need for metal braces through the use of clear aligner trays. Patients wear a series of aligner trays to gradually reposition the teeth and improve the smile. Invisalign® trays are worn throughout the day and while sleeping at night but may be removed while eating, brushing, and flossing. The total length of time needed to complete Invisalign® treatment will vary based on each patient's needs, with many patients needing treatment for 12 months or longer. Why Do Teens Prefer Invisalign®? Comfortable: Invisalign® trays are made of smooth plastic and customized to each patient's mouth, making them comfortable for daily wear. Nearly invisible: Invisalign® aligners are made of clear plastic for discreet orthodontic treatment, providing teens the benefit of orthodontic treatment without the insecurity that metal braces may cause. Ease of maintaining oral hygiene: Invisalign® trays may be removed for ease of brushing and flossing the teeth, making it easy for teens to care for their smiles during treatment. Improved oral hygiene: Overlapping, crooked teeth can make it difficult to thoroughly clean the teeth. Invisalign® treatment eliminates overlap, helping to improve oral hygiene. No metal brackets or wires: Traditional metal braces use brackets and wires to reposition the teeth, which can irritate the mouth. Invisalign® doesn't use metal brackets or wires and won't irritate the mouth. No food restrictions: Because Invisalign® aligners may be removed while eating, there are no food restrictions like there are with traditional orthodontics. Improved confidence: Teens who undergo Invisalign® treatment may enjoy the confidence of beautifully straight teeth in as little as 12 months. 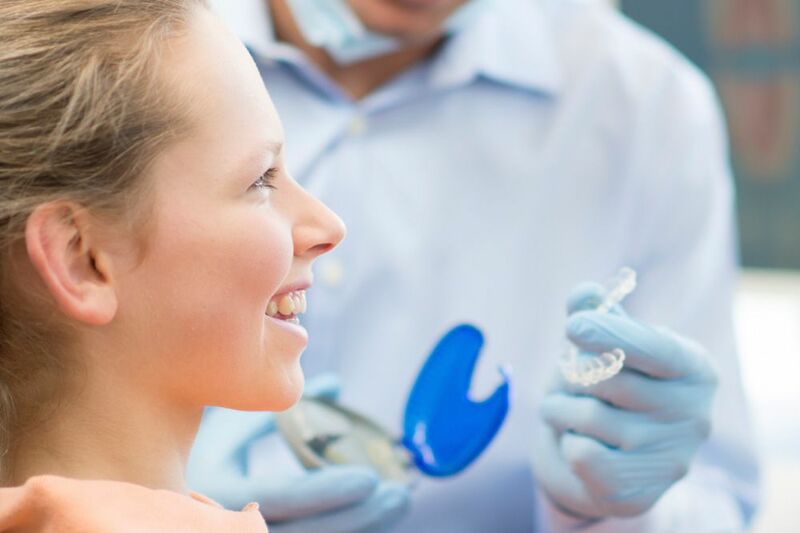 Invisalign® treatment can transform the smile, allowing teens to experience the confidence of a beautiful smile without feeling self-conscious while undergoing orthodontic treatment. For more information about Invisalign®, please schedule a consultation with our team at the Harlem Center for Aesthetic Dentistry.